Amazon is working to improve its knowledge graph to close the gap with Google Assistant and getting as many questions as possible will help Alexa determine what it should know. This article was updated at 11:45 pm on August 6th to include confirmation from Amazon about the feature and input from Reddit users on accessing the new service. Alexa was initially famous for being able to answer some questions, but to often say some variant of, “I don’t know that, but I’m always learning,” “I can’t find the answer to the question I heard,” or “Sorry, I didn’t understand the question.” Sometimes, Alexa would suggest users check back later to see if Alexa had learned the answer. Amazon’s voice assistant can now answer many more questions than when it first launched, but users will still run into situations where Alexa cannot answer the question. Alexa Answer Updates appear intended to address that issue. It also indicated I could disable Answer Updates if I no longer wished to receive them. However, there doesn’t appear to be a setting in the Alexa app to deactivate this feature. Thankfully, a Reddit user confirmed that saying, “Alexa, enable Answer Updates,” will activate the service. Saying, “Alexa, turn off Answer Updates,” should deactivate it. This may not be available to all Alexa users today. The most common smart speaker feature tried by consumers is to ask a question. It is also a top three feature used on a monthly and daily basis according to smart speaker owners. However, studies show that Alexa trails Google Assistant by s significant margin in the breadth of questions it can answer according to two recent studies from Stone Temple and Loup Ventures. Amazon is working to close this gap and Stone Temple reported that the number of questions Alexa attempted to answer of a list of 5,000 more than doubled between 2017 and 2018. That is good progress, but consumers may not know that Alexa is getting smarter and can now answer their questions. Answer Updates will enable Alexa to demonstrate its expanding knowledge base to users. How will Users be Notified? It is not clear how users will be notified when Alexa has an answer update. Amazon has a notifications features within Alexa that could used. Alternative contact methods would be a text message or email. 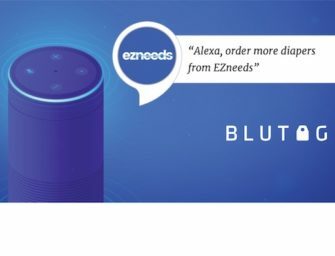 Both channels are used for other types of notifications to Alexa users. I have reached out to Amazon for clarification on Answer Updates and will update this article when more information is available. If you come across this feature yourself, please let me know on Twitter.